There have been reports of several people falling sick, alongside deaths recorded in the Karamoja region of north-eastern Uganda, a home of refugees where the United Nations is providing support through its food aid agency. Since Tuesday March 12, an estimated 262 people in this area have been reported sick with symptoms consistent with food poisoning. This is contained in a statement made available to Ventures Africa. The victims were hospitalized after complaining of mental confusion, vomiting, headache, high fever and abdominal pain. A total of 252 people were then discharged following successful treatment at health facilities in Amudat and Napak. No new admissions have been reported since Monday 18 March. The statement further clarifies the status on death reports, stating that there are unverified reports of three deaths, one of them at Matany Hospital, Napak District and other two in the communities. One male passed away in Lorengechora, Lookit village, Napak district and another female in Amuna village in Karita Sub County, Amudat district. All the deaths took place on the 16th of March, 2019. The Government’s investigative team are in the communities to verify the two none facility deaths. Fear and uncertainty have trailed these reports amid suspicions that the illnesses are caused by food poisoning. More specifically, the speculations are pointing to a United Nations food supplement called Super Cereal – a fortified blended food distributed by United Nations food aid agency for prevention of malnutrition. This is alarming because Uganda, including the affected region, has been receiving food support from the United Nations World Food Programme (WFP) for a long time. Working through Government health systems, WFP has provided Super Cereal in Uganda for more than 10 years. The current coverage of Super Cereal is at 252 locations in Karamoja in addition to many sites across the 13 refugee hosting districts. Refugees receive the supplement in general food basket. Reacting to the speculations, the Government of Uganda and United Nations WFP are investigating whether there is a connection between the recent illnesses reported and Super Cereal. In line with this, WFP on Friday ordered the immediate suspension of Super Cereal distributions in Karamoja and the refugee-hosting districts where it’s distributed. This is as a precautionary measure until investigations are concluded. The food aid agency is working with district authorities to retrieve all Super Cereal stocks from health centres and communities. Samples of Super Cereal stocks and water were taken from the affected areas including blood, vomitus and urine from patients and are currently being analyzed at the government laboratories. More samples have been sent to laboratories in Kenya and South Africa for further analysis. Preliminary results of the Government investigation are expected in the next 24 hours, while results from abroad are expected within the next 5 to 7 days. The Ministry of Health, Ministry of Karamoja affairs and WFP commit to conclude all investigations and share results with the public. Government officials visited the affected villages on Monday 18 March and spoke to the affected people and health workers. The team found that the problem remains localized in only two of the eight districts of Karamoja. Investigating teams from the Ministry of Health and WFP food technologists remain on the ground carrying out surveillance and epidemiological mapping to establish the associated factors and possible causes of this recent illness. An intensive communications campaign is ongoing, advising people not to consume Super Cereal until further notice. It still remains unclear why an outbreak like this would be linked to a food aid initiative by a recognized humanitarian body such as the UN. 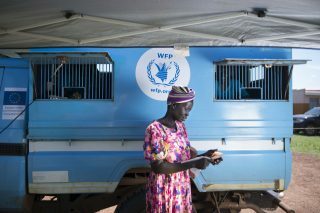 The goal of the United Nations WFP is saving lives in emergencies and changing lives for millions through sustainable development. WFP supports governments and works in more than 80 countries around the world, feeding people caught in conflict and disasters, and laying the foundations for a better future. Uganda hosts more refugees than any other country in Africa, including people who have fled South Sudan, the DRC and Burundi.